The Boa is a very large type of snake. They are extremely powerful and when they sneak up on prey they will wrap around them and squeeze. This process allows them to suffocate their prey. 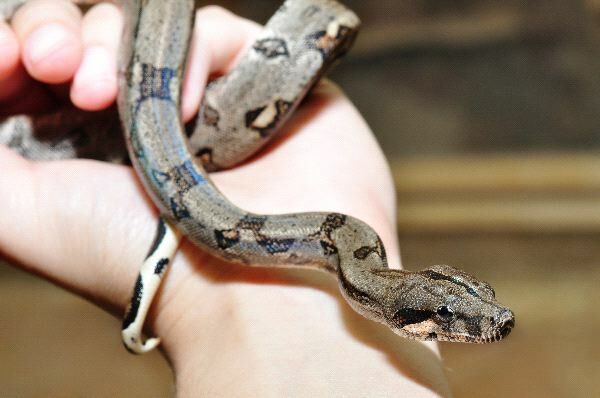 Many people find the Boa to be exotic and so they keep this type of snake as a pet. They can be very dangerous though and become aggressive quickly. The Boa can range in colors based on their habitat and often blend in very well to their surroundings. They may live in trees or on the ground in the wild. They need to live in areas with a warm climate. They swallow their food whole and it can take months for them to be able to digest what they consume.